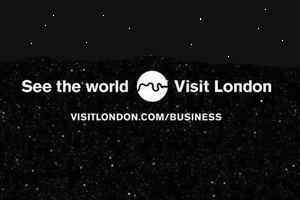 Visit London is to debut new branding for its business tourism arm at the Event UK show next month. The new creative look, developed with agency RKCR/Y&R, uses a globe visual which shows London imposed onto the planet Earth with the river Thames featuring prominently, and accompanied by the strapline: 'See the World. Visit London'. It replaces the brand line ‘Unlock your potential' and red door creative. The new creative is an extension of the leisure marketing branding, which the organisation has been using for a year. Visit London's marketing director Martine Ainsworth-Wells said: "This is a fantastic new look for the business arm of Visit London. It highlights the diversity and choice that is on offer in London for business groups and travellers coming to the capital and communicates the confidence that we have as a city." The new look and feel will be integrated throughout all of Visit London's marketing, sales and PR activities. It will be launched at Event UK, where Visit London will be using Global Radio's "Big Event" bus – a meeting space which has been converted from a Routemaster bus to a meeting and media space.